Pune to become the 4th largest city in India by 2030? – Will our infrastructure be ready for it?? A recent McKinsey Report on India’s Urbanization examines the trends around the growth in urban population centers. It presents a comparison across the 2008 population numbers with the 2030 forecasts. – By 2030, 5 states will have more than 50% population living in urban areas. – From 1971-2008 India’s urban population grew nearly 230 million. The next 250 million in urban India will be added in half the time. For more insights and data points, do take a look at: India’s urbanization: a closer look (report, interactive graphic and audio commentary). The interesting observation in this report, from a Pune perspective is that it will be one of the fastest growing cities over the next 2 decades, nearly doubling its population to 10 million. In the process, it will likely overtake Hyderabad and tie up with Bangalore to take up the #5 spot (behind Mumbai, Delhi, Kolkata and Chennai). While the population of Pune doubles, the rest of the urban infrastructure load factors (land, water, power, vehicles, etc.) will grow at a much faster rate. (4 times,5 times…even 10 times). This raises a long list of serious questions about infrastructure planning. In this blog post, I have attempted to highlight a few questions/discussion items that come to mind. I will try to expand on some of these topics in further detail in future blog posts. What will be the new residential/industrial areas of Pune in 2030? Where will the growth happen? Like Mumbai, would heavy/manufacturing industry shift out of the city? How would the existing land redevelopment happen? What would the city’s economy look like? Services vs. Manufacturing Split? Let’s take one example of the city’s borders… will Pirangut be a part of 2030 Pune City? Will the Mumbai-Pune Expressway essentially become one big urban highway? Pune’s water supply comes from the Panshet-Varasgaon-Temghar-Khadakwasla Dams. For a long time Pune has been blessed with a surplus water supply, but the first signs of trouble are already evident (as we have been seeing in the month of July in recent years…). According to a rough estimate the present storage capacity of these dams is more than 2 times that of Pune’s requirement (that is assuming all water is used only for Pune City). Pune’s water needs in 2030 will be much more than 2 times the present requirement. Where is the remaining water going to come from? Some might come from Pavana dam? Maybe? Will any water from Mulshi Dam (presently used for power generation and downstream Kokan requirements) be diverted for Pune? Any other dams nearby that can supply water to Pune? Note – any extra water for Pune is going to come at an expense to crop irrigation. This will be a very tough issue to resolve. What water management projects (e.g. rain water harvesting, sewage recycling) will be implemented? Maharashtra is already reeling under power deficit. The power requirements will grow non-linearly (much more than 2 times). I feel (maybe I am completely wrong!) that the power situation might be relatively less difficult to tackle than the other infrastructure issues? More power plants need to be built! Will alternative energy play any meaningful role by 2030 to meet Pune’s needs? An underground (at least in some densely populated parts) metro? Truly dedicated pedestrian and bicycle zones? A good ring road to divert highway traffic out of the city? High-Speed (greater than 200 kmph) train links to Mumbai and other cities? A city of 11 M in 2030 needs a good 2 runway international airport. If the current Chakan site is not feasible, what are the alternatives? Will the proposed New Mumbai airport near Panvel be able to meet some of Pune’s air transportation requirements? Are multiple smaller regional airports one possible solution? What kind of quality of life will the Punekars have in 2030? How does the city scale up while maintaining its green spaces? What kind of FSIs would we be looking at? What pollution/smog levels will Pune face in 2030? Here is a link and excerpt to Christopher Benninger’s latest article in the series “Death And Life Of A Great Indian City” in July 25 2010 edition of Pune Mirror . Benninger discusses how Pune evolved after the end of the Peshwe era in 1818. How the city witnessed a big decline over the next few decades. How the British reshaped the city with the creation of new areas such as the Pune Cantonment. The famous, award-winning architect and urban planner Christopher Benninger has written a nice piece ‘The Great City Builders’ about urban planning lessons from the Peshwa Era in Pune, in today’s Pune Mirror. Bharat Itihas Sanshodhak Mandal (Devnagari: भारत इतिहास संशोधक मंडळ ), Pune is one of the great institutions of Maharashtra and Indian History. It was founded this day, 100 years ago by the great historian Rajwade. As the institute celebrates 100 years, it is important to note the historical information treasures that it maintains. These include historical documents (some dating back over 700 years), coins (some as old as 200 B.C.) 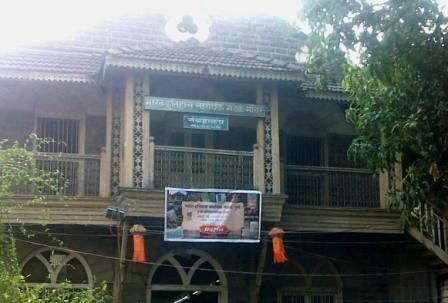 , artifacts, maps, paintings, rare books and early Marathi newspapers. Some of the institution collection is open for public viewing, while the rest is made available to research scholars. The Mandal (institution) organizes special exhibitions from time to time, where a lot of the collection is on display. This collection has helped many history scholars and researchers over the past 100 years in their research. The Mandal also organizes many training workshops around old launguages/scripts (e.g. the old Modi ‘मोडी’ script). Painting Gallery – Collection of over 1500 paintings (130 on display), including a good collection from the Peshwa Era. Khare Museum – Collection of various artifacts across different dynasties: Furniture, Weapons, Canon Balls, etc. Library & Archives – These contain a collection of over 800.000 documents in Sanskrit, Marathi, Kannada, Persian and other languages.